Whether you are planning a wedding, company picnic, award ceremony, or celebration of life, our dedicated team is familiar with most local venues and can answer many of your questions. We can offer advice and customize a quote based on your specific requirements. Quality products, exemplary service, and knowledgeable personnel are what set us apart. 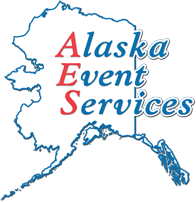 Aside from tables, chairs, linens, and chair covers, Alaska Event Services also provides staging, lecterns, pipe and drape, easels, and display panels. Our professional staff understands how critical a timely installation and removal is for a successful event, which is why we make every effort to accommodate your needs. 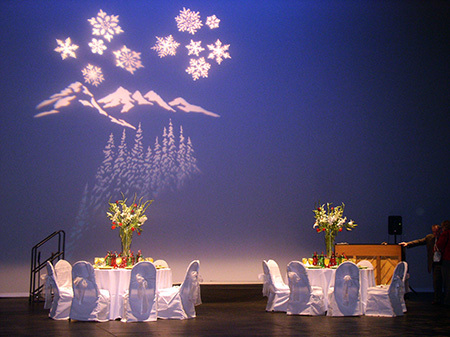 Let us get started on customizing your special event today. We look forward to the opportunity to be of service during your upcoming event!